California Contractors Insurance Services launched the Future Contractors Scholarship last year, which is available for one student each semester pursuing a career as a contractor. The prompt for the essay this semester was: “What advantage does college provide in starting and running a contractor business versus starting the required four years journey-level experience to become a licensed contractor right out of high school?”. After receiving and reading through hundreds of submissions, CCIS chose Nathan Tabon as the winner. 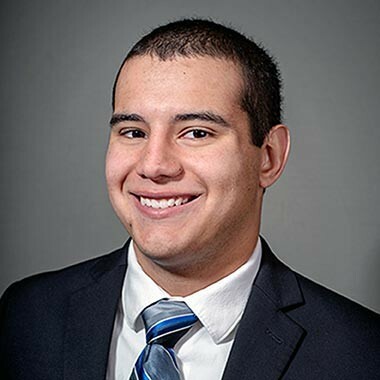 Nathan, who is currently attending Pennsylvania College of Technology for Construction Management, wrote a great essay on why he chose a college education over the starting in the field. If you know of a future contractor entering or currently attending college/university encourage them to apply to our current CCIS Future Contractors Scholarship at www.ccisbonds.com/scholarship. In the construction industry, there is a general opinion made from people outside the industry and even inside, that aspiring contractors, carpenters, and construction managers shouldn't ever go to college. From my own experience at the Carpenter's Union in Pittsburgh, that was the case. They told me that as long as I joined their union, and got trained by them, that I would be better off instead of going to a public institution. And I wasn't buying it at all. I had already learned enough from my vocational school, that construction was the field that I wanted to be in, yet I felt that four more years of school would be exactly what I need to go into the field. The reasoning behind that, was because at Penn College of Technology, you learn specifically about what field you want to be in. With construction management, I learn about the materials and methods of construction, while taking technical English classes that help my writing get to where it needs to be for my field. I take business management classes, because a lot of construction managers have their own smaller firms, subcontracting out their own work when needed. Also, going to a school for construction management means that I have time over winter and summer breaks to have internships starting after freshman year to go out and discover what you are the most effective at with a lot less risk. If I would have became a licensed contractor right out of high school, there would have been a lot more risk involved, and I wouldn't have been able to discover what I was good at. Right now, I am involved with NAHB's Associate Residential Construction Management Competition. I have found that I am really effective at finding out the prices for things that will be used in our construction estimate and construction schedule. I wouldn't have been able to participate in this competition if I started my own company right out of high school. And being in college means that I have the freedom to live a time where I can discover what I am most effective at, and not fear losing a job because I didn't know I could achieve that prior. All in all, going to college for construction management is more beneficial than becoming a licensed contractor right out of high school, because you get to learn about the field you want to work in, in depth. Also, you get to find out what trade you would be the best at, and learn at a lot less risk than starting out right out of high school. The job outlook for construction management graduates makes it worth every penny.